Series must be read in order. 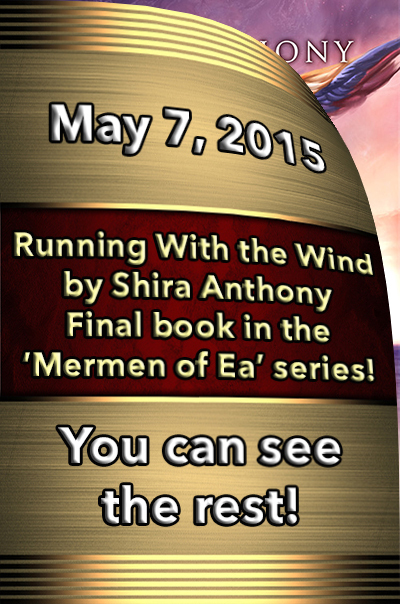 This is the final book of the series. 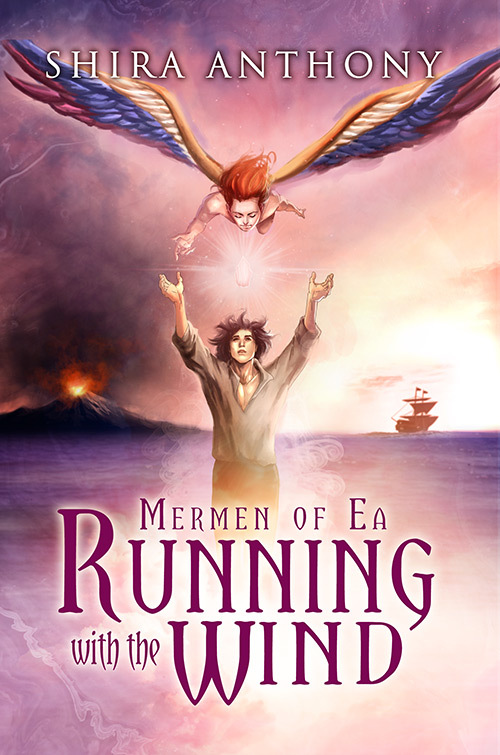 Sequel to Into the Wind With the final confrontation between the island and mainland Ea factions looming, Taren and Ian sail with Odhrán to investigate a lost colony of merfolk in the Eastern Lands. Upon their arrival, the King of Astenya welcomes them as friends. Odhrán, however, isn’t so quick to trust the descendent of the man who held him prisoner for nearly a decade, especially now that he has someone to cherish and protect—the mysterious winged boy he rescued from the depths. 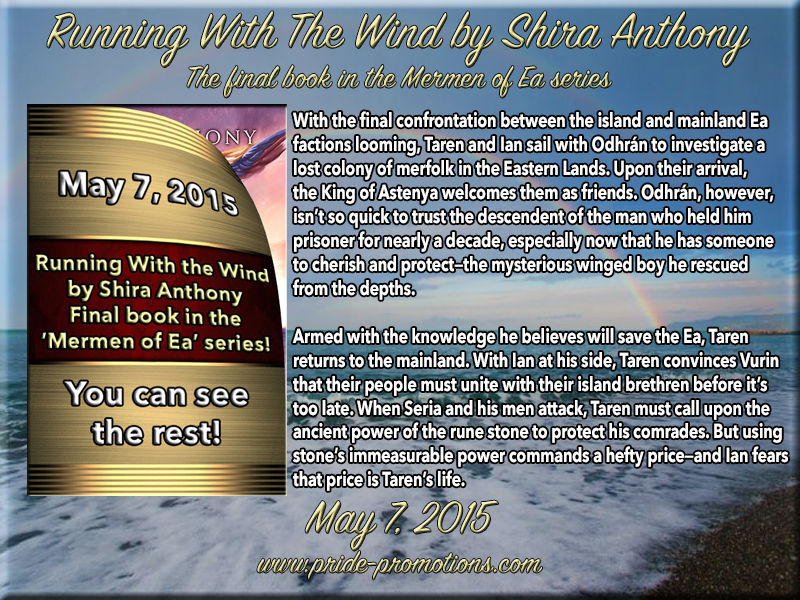 Armed with the knowledge he believes will save the Ea, Taren returns to the mainland. With Ian at his side, Taren convinces Vurin that their people must unite with their island brethren before it’s too late. 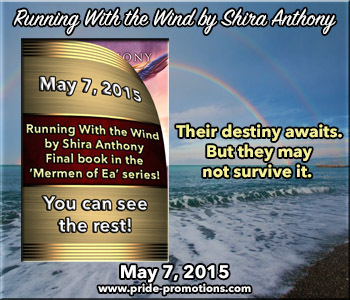 When Seria and his men attack, Taren must call upon the ancient power of the rune stone to protect his comrades. But using stone’s immeasurable power commands a hefty price—and Ian fears that price is Taren’s life.